I’m sure you all know me by now and you know that I am very passionate about the wonderful game of golf. I have been around this great game most of my life. Don’t get me wrong I’m not that good anymore but I still love to hang out at the golf course and enjoy the sheer beauty and camaraderie of being there. I think so many golfers take for granted what really goes on at any given golf course or country club when they drive in to play their round of golf. The first thing they are thinking of when they arrive at the golf course is how am I going to play today, how is my swing going to be, how is my putting going to be. They are totally unaware of what is going on around them. They have no idea what is going on behind the scenes of what make’s their day of as enjoyable as possible. This leads me to write this article about the best careers opportunities in the golf game. What Does Go On ? Like I said I have been around golf and the golf scene most of my life and it never ceases to amaze how blind golfers can be. Like I have never seen a golfer drive into the golf course and say, wow, look at all those clean golf carts all lined up for us. They pull up to the bag drop area, pop their trunk, put their golf shoes on and go park their car. 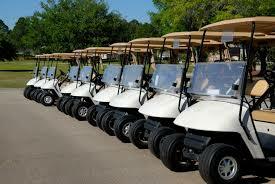 When,they get back their clubs are all loaded up on their golf cart ready to go. Granted most golfers will give the gentleman a tip but not all of them. I’m not saying that golfers are snobby but a lot of them take for granted what is done for them when they arrive at the golf course. When,they go in the pro shop to pay their greens fees they totally take the guy or girl behind the counter for granted not realizing he or she is also trying to make their day a pleasant one, When they pull up to the first tee and the starter that tell’s them when they can tee off, totally taken for granted. Rarely have I seen a golfer stand on the first tee and say, man, the golf course looks just beautiful today. I guess what I’m trying to say is that there are a good deal of golf careers opportunities that most people. Even golfers don’t even realize. Why Do People Play Golf ? There is a lot of golfers that really enjoy this great game, some have different reasons than others, some like to get out with their buddies, play a round of golf and throw down a few beers and go back home. Others play to perfect their swing and try to get their scores as low as possible. Others just play for the fun of just playing the game itself. Going out having a few beers and just having fun. So that being said, it is surprising to me that when all these people from all walks of life that love this game so much would not think about actually checking into getting into an actual career in this game so much. They see on a daily basis all the jobs available to them and that’s just what they see with the human eye. There are a good deal of golf careers behind the scenes you just can’t even imagine. Golf today has pretty much become a national phenomenon. Thanks to the likes of Tiger Woods, Phil Mickelson and the likes have created a golf frenzy. High schools all over the country have created golf programs where young kids are getting into the game of golf. If you are good enough you can get a full ride to college just on your golf ability alone. If you don’t cut it as an actual golfer they offer programs that you can major in, in the golf profession. These can range from a horticulture degree where you can take that to be a groundskeeper on a golf course. You can get an associates degree in golf operations and management. The golf careers opportunities are literally endless. When most people think about a golf career the first thing they think of is a golf pro and or instructor, he may a great golfer but not great enough to be on the pro tour. Nothing wrong with that, he will probably a great instructor, but the realm of golf careers opportunities go far beyond that. Club Instructor: You would have to be a very skilled player to even apply for this position but you could start as an assistant and work your way up to head instructor. Besides the main positions that I mentioned above there are a good deal of other golf careers positions available that most golfers totally take for granted. Most have no idea what goes into running a golf facility with precision and accuracy. The grounds crew: These guys have probably been out on the golf course before you even gotten out of bed. If it were not for these guys you would be bitching all day about the course conditions. Food service crew: From the ninth hole concession stand to when you get done your round of golf, who makes it possible for you to have that hot dog and cold beer at the turn or the lunch and cold beers when you are done your round, It’s the food service crew! Mechanical Engineers: These guys are the one’s that keep all the equipment in tip-top shape for cutting fairways, cutting the rough and rolling the greens. 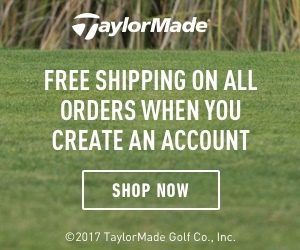 Golf merchandise and sales: When you go in the pro shop because you need a towel or tees or even golf balls, they don’t appear from nowhere, someone has to make sure the shop is always stocked from hats, visors, etc. I can go on and on about jobs in the golf industry, I haven’t even touched on human resources, advertising, public relations, photography, the spokes’ person and then there’s the manager that oversees all of this stuff. So believe me there are so many job positions in the golf industry it will make your head spin. So go out and take advantage of some of these golf careers opportunities. Thanks for the information Robert , great article i would say i learned something new for sure .